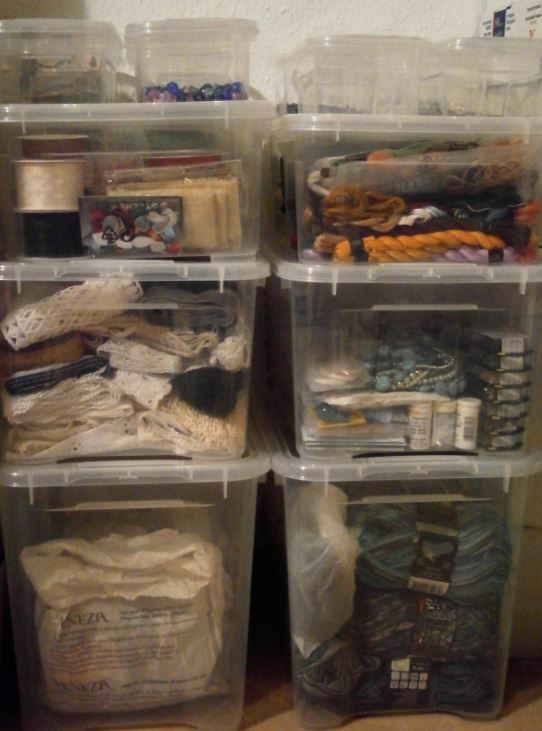 My fabrics are stored in a drawer cabinet, three big plastic storage bins and lots of smaller containers. I’m keeping my scraps sorted by size in recycled food containers (potato salad, chocolates, ice cream, egg salad – to name but a few). Oh, and a rectangular bowl used by photographers for exposing their films has become a home for the bigger scraps. 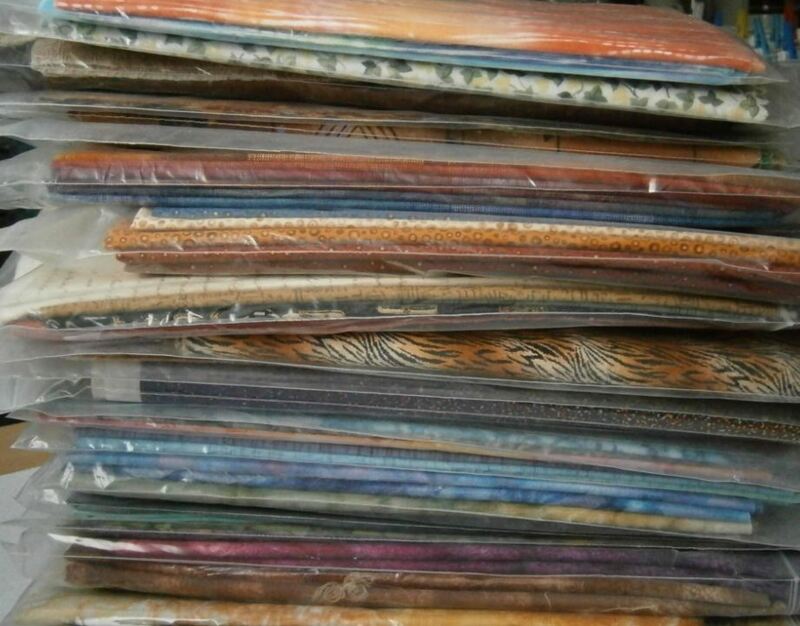 Of course, every decent UFO Garage must have a fabric depot aka The Stash. 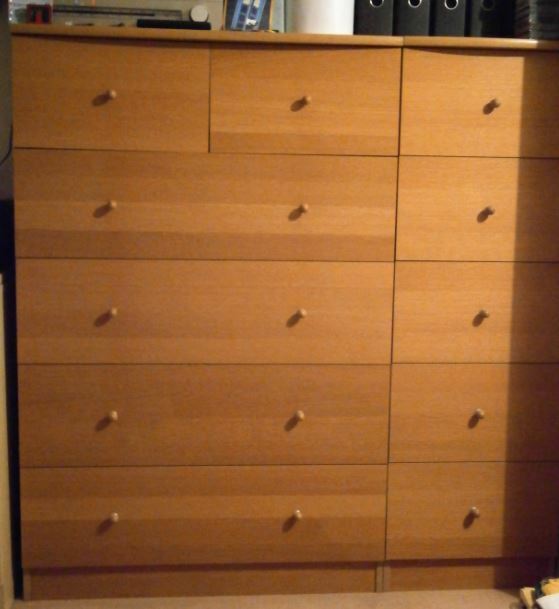 Mine is a cabinet of drawers which holds about two thirds of the fabrics plus a couple of big plastic bins and some plastic bags for the remaining third. The cabinet measures 1.20 x 1.20 x .35 meters. 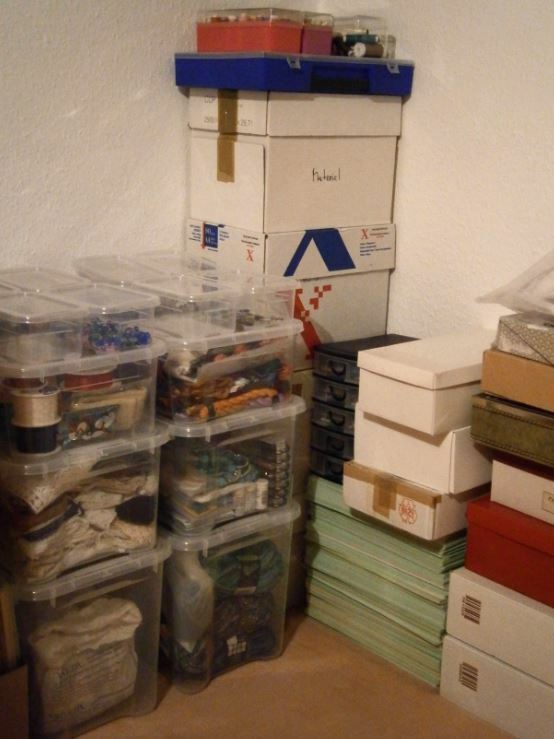 That’s half a cubic meter of fabrics, plus another quarter in the bins and bags. Not enough to open a shop but clearly quite decent for a single person. Today I went through one row of drawers in my cabinet because I was looking for a special fabric. I found it eventually, but I also found the stuff nightmares are made of. No, not tons of ugly fabrics, although I asked myself occasionally why I had bought this special fabric way back when. The sheer amount of fabrics was what caused the nightmares. And this was only twenty percent of the cabinet’s contents. Oh dear. I think I need a plan. 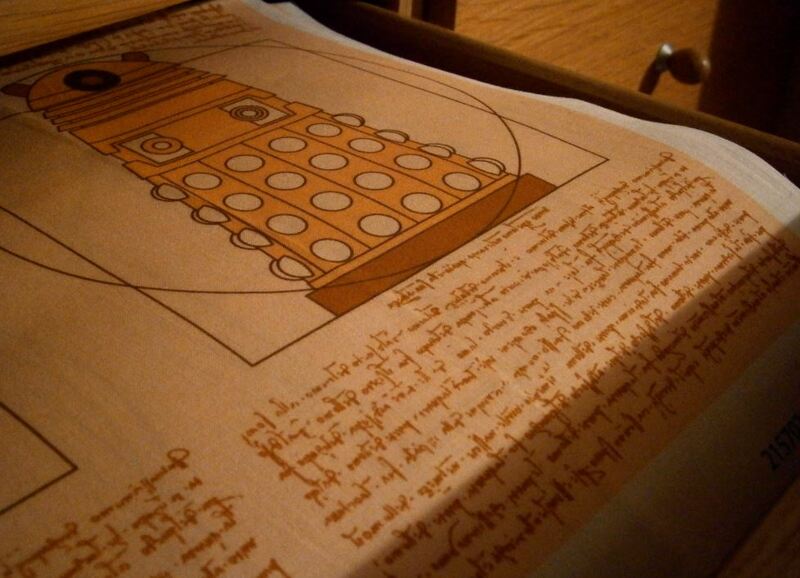 After finishing my UFOs and WIPs which are mostly hand sewing projects, I’m going to switch to machine sewing. This is a decision I already made a while ago as my eyesight isn’t improving with age. And I noticed my hand stitches aren’t as tiny and even anymore as they used to be. But this will also mean I’ll have to say goodbye to a lot of patterns I’ve got on my list. 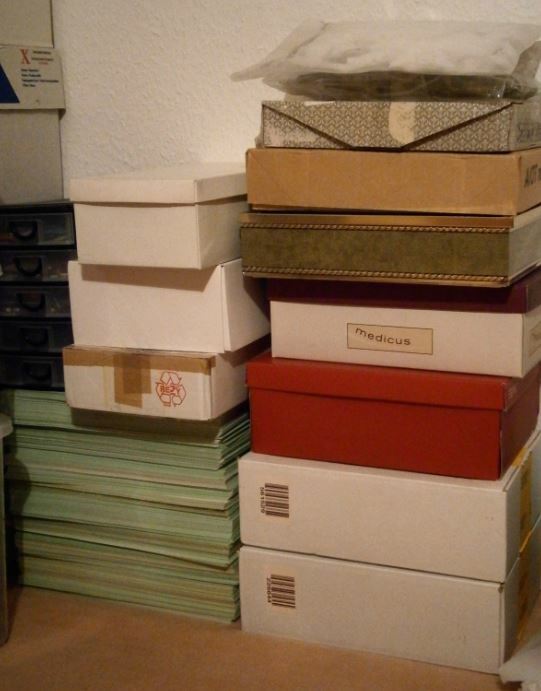 And – maybe – in the end I’ll have to sell some of my stuff because I can’t keep the whole lot. More nightmares to come. OK, but first finish the UFOs, then nightmares.